Let’s head out to the London Stadium in London, where West Ham United hosts Brighton & Hove Albion in a fixture from the 21th round of the Premier League. Let’s take a look. Manuel Pellegrini’s West Ham started the season with four consecutive losses, but with time the Hammers managed to stabilize their performance. Now West Ham are 11th in the standings with 27 points and a record of 8 wins, 3 draws and 9 defeats. Thankfully for West Ham, with time Manuel Pellegrini managed to stabilize the team and make it play good football. In their previous fixture West Ham suffered a defeat, though. The Hammers visited the Turf Moor to face Burnley and suffered a 0-2 defeat. The goals for Burnley were scored by Chris Woods and Dwight McNeil. This was not good day for Pellegrini’s boys, who were outperformed by the hosts. Before this loss at the Turf Moor, West Ham enjoyed a 2-1 win during the visit to Southampton, thanks to two goals from the influental Brazilian midfielder Felipe Anderson. Meanwhile Brighton & Hove Albion are 13th in the Premier League standings with 25 points. 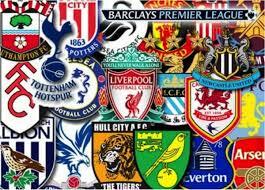 Their record in the league so far shows 7 wins, 4 draws and 9 losses. Brighton & Hove were in a bad run of results, but in their last game they enjoyed a very good 1-0 win over Everton at home. The only goal in Jordan Pickford’s net was scored by Jurgen Locadia in the 59th minute. Before this win over Everton, Brighton & Hove made a draw against Arsenal at home, which was also a very positive result for the team. 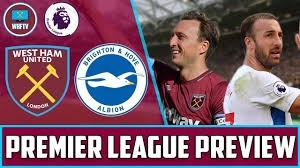 These are our thoughts about the Premier League clash between West Ham United and Brighton & Hove Albion at the London Stadium in the English capital. We wish you good luck with this one!